This built-in oven comes with a variety of programmes to suit all your cooking needs. There's even a self-cleaning programme, so you don't have to spend time scrubbing your oven clean. Save time in the kitchen with our ovens that clean themselves at the touch of a button. The oven heats up to a super-hot 480°C, burning away dirt and grease, and then all you have to do is use a damp cloth to wipe clean. The BXIM25300 comes with a 1 year guarantee as standard. 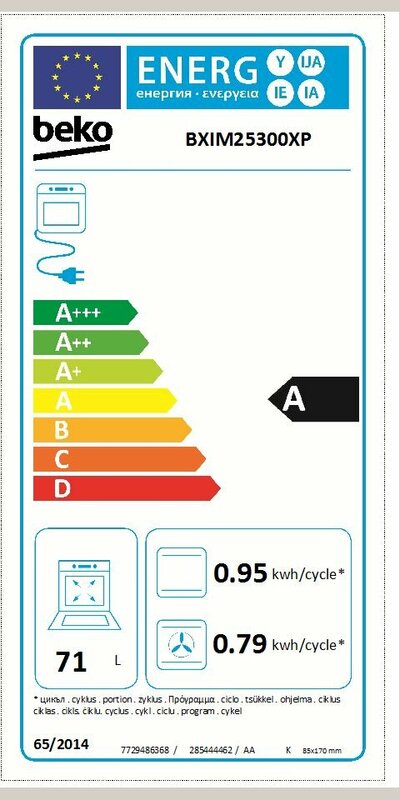 You must register your appliance within 90 days of purchase and we will extend your guarantee to 2 years free of charge.